People wonder why I think dogs are better than cats? This is the reason right here. They don’t just think about themselves all the time. 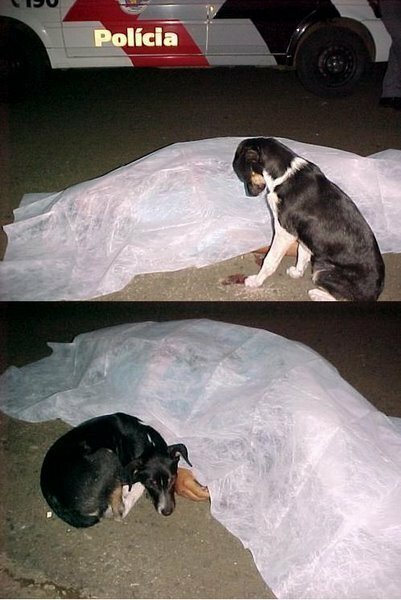 Some of the images after the jump might be a bit graphic for some, but it just goes to show how loyal dogs are. Check out these stories of dogs that walked miles to return to their owners. There’s the two famous ones: Hachiko and Grefriars Bobby. This one is more humorous than anything. One dog helping another out. Here’s where it can get a bit graphic. The loyalty shown is just not found in cats. If there is you certainly don’t hear about it. omg thats the sadest thing ive ever seen! But its also very sweet!